Taking the decision to create a cover album before releasing new material of my own did not come easy, but having felt the connection with audiences throughout the UK during my “Eurovision Unplugged” tour, performing my own versions of timeless ESC songs, it felt right to take things a step further. 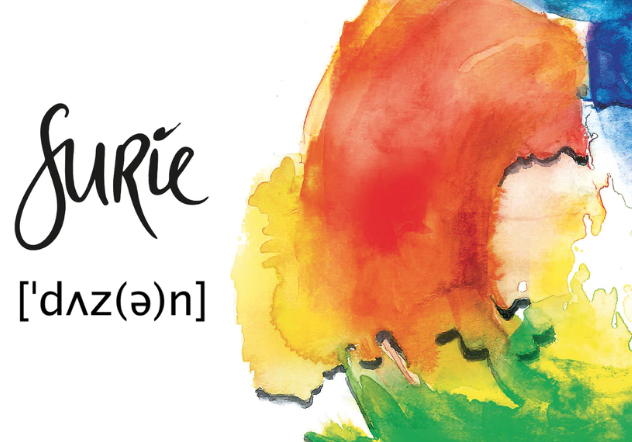 Whatever the outcome of this Kickstarter campaign, rest assured that the new SuRie album [ˈdʌz(ə)n] will go ahead and be recorded and launched in February 2019. However, without your help at this stage, it will certainly be a struggle to make all aspects of the album and live launch happen. As an independent artist, on an independent label, SuRie is so grateful for your continued support. There are also rewards for other amounts, details of which can be found here. At the time of writing £2,770 out of the £3,000 needed has already been raised on the first day of the kickstarter page being launched, so we’re confident that SuRie will be able to raise the rest. You can still get tickets for SuRie’s show in Kent on 24th November, details of which can be found by clicking here. What songs would you like to appear on the album? Let us know in the comments section below! Five songs have been selected for the final round in Switzerland! Hi Tina. Yes, Katrina was the first, but I don’t think she was out at the time that she won.